Vitry-sur-Seine a town on the outskirts of Paris, home to C215, is a street artist's playground and outdoor gallery. 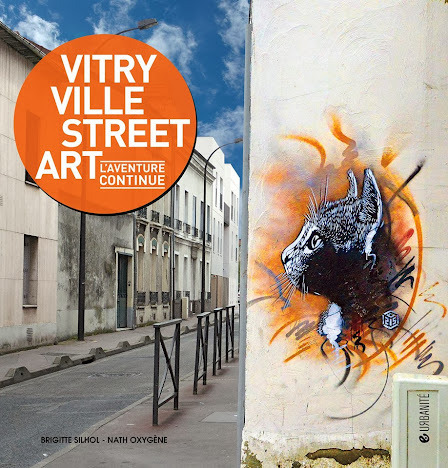 This new publication Vitry ville street art features the many who have graced the walls of this town, over 100 French & international artists. Including C215 , Cope 2, Gaia, Guy Denning , James Cochran, Finbarr Dac , David Walker, Jorge Rodriguez Gerada , Seth, Dale Grimshaw , Pixel Pancho , Alone, Ripo...and more. Join Stolen Space Gallery on Friday the 21st february 2014 for the launch and to meet many of the featured artists.